I’m talking within the hour. Click the full screen button in the bottom right hand corner for you guessed it – FULL SCREEN! The Worlds course Leogang, Austria looks rad this year and the word from the riders is the same. Just a shame it looks like it’s going to be as wet as it was at last years World Champs in Champery. But if that’s anything to go by, it’s always amazing to see the best DH racers in the world go head to head in some of the most horrendous conditions. It certainly sorts out the men from the boys. Just look at the result from young Aussie Troy Brosnan or Danny Hart’s epic Champery run. For a riders perspective check out the Troy Brosnan Headcam on the Leogang course earlier in the year. 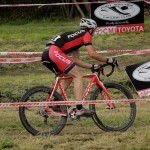 Over the past year or two cyclo-cross has had a massive increase in popularity in Australia. This has seen local state series’ being held in a number of capital cities including Melbourne, Sydney and Adelaide. And now this year , for the first time, a Nationals series has been setup. Adelaide had the privilege of hosting the 3rd and 4th rounds, held as back to back races over the weekend of August 11th-12th. 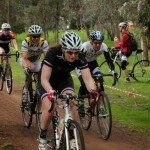 Check out the video of the mens race from Sunday, Round #4 held in Adelaide. After the success of the double round in Melbourne it was good to see a decent amount of interstate competitors made the effort and headed over for the Adelaide races. 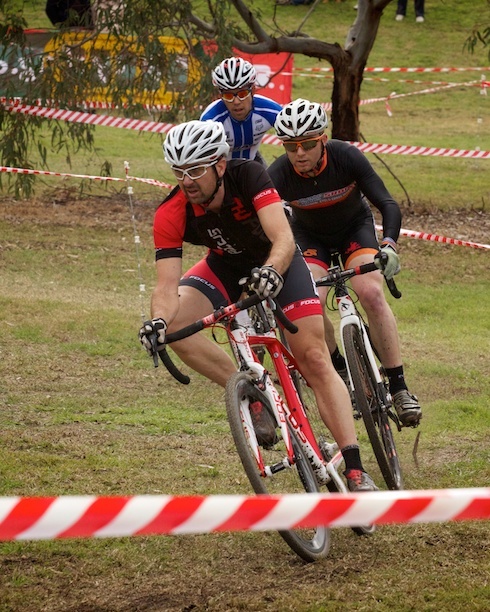 Both races were held in the heart of the city in the surrounding parklands with loads of help from volunteers and particularly PACC (the Port Adelaide CyclingClub) who have been putting on the local summer and winter series over the past year. Despite being close together the two tracks were very different making racing unique for both days. 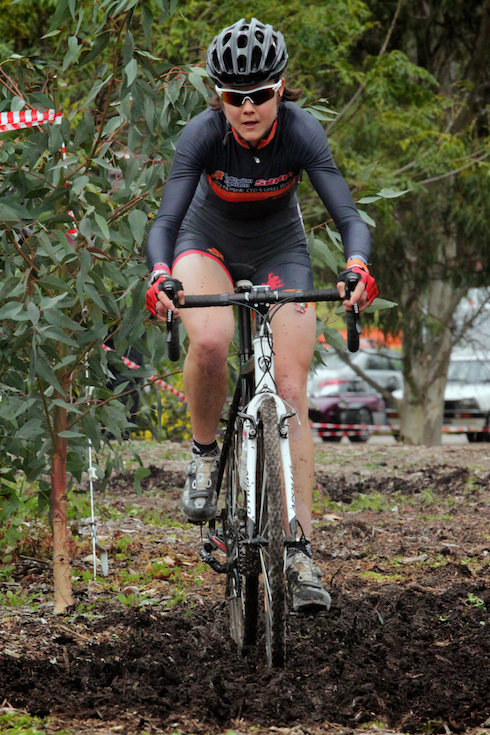 Sundays track consisted of a slightly tighter course making getting a good break out to the front of the field difficult if you were stuck mid field. 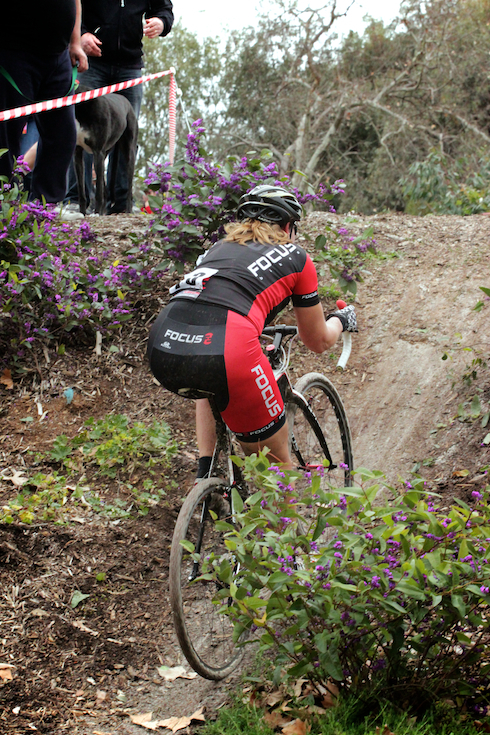 With far more rolling sections, a very steep climb and a number of hurdles and logs, this course was great for spectators with its tight proximity. 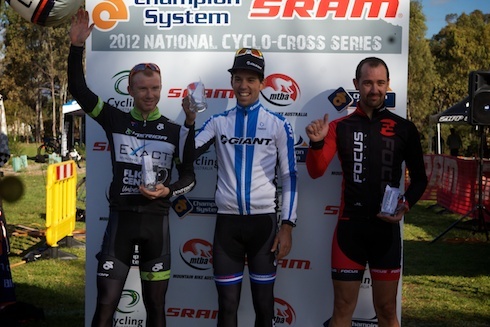 Jade Lean (Focus), Adrian Jackson and Lachlan Norris were a powerful force at the front of the race from the get go. 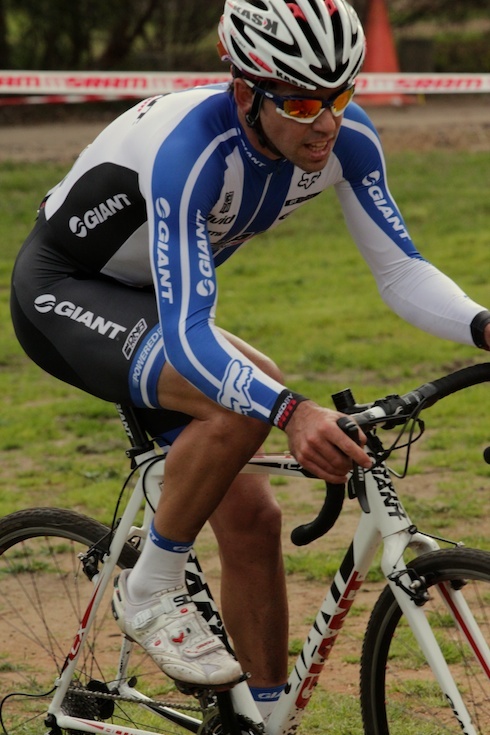 Lachie Norris (Giant) stuck with the lead pack like glue and with about 2 laps to go unleashed and got a healthy gap on the other two podium getters. 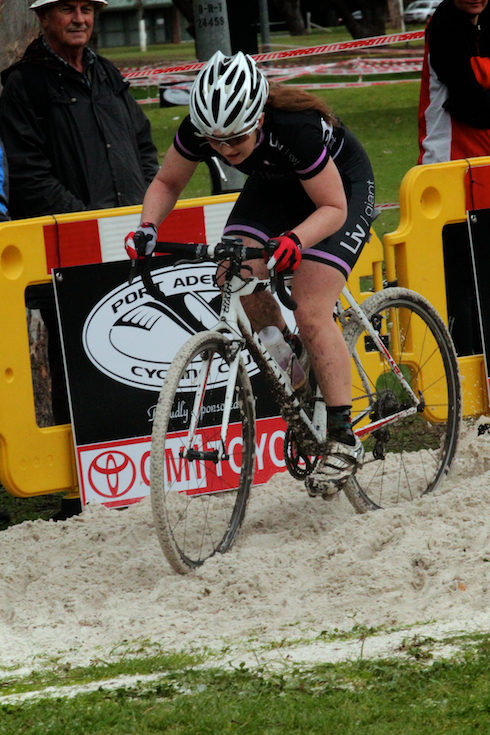 Adelaide had the privilege of hosting the 3rd and 4th rounds, held as back to back races over the weekend of August 11th-12th. 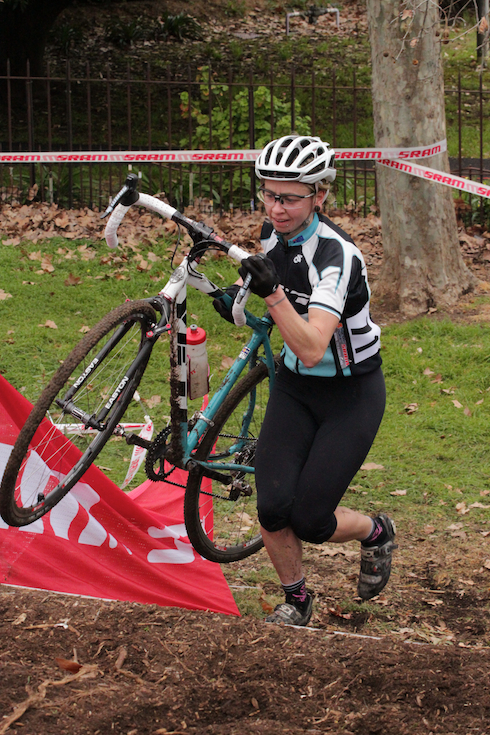 The first course of the Nationals series CX weekend was overall a flatter track but still contained a sharp climb, some nasty boggy sections, stairs and of course the sandpit, which claimed many a victim. Melissa Anset, 2nd takes on the stairs. 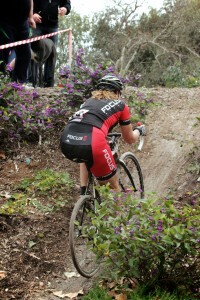 Gemma Kernich, 3rd, attacks the climb up to the boggy section.